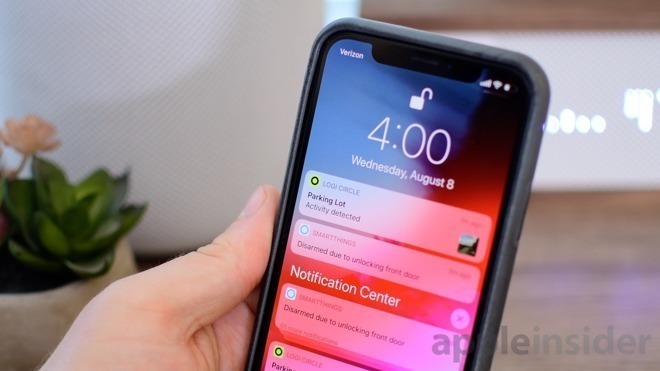 The new builds can be picked up by developers enrolled in the beta as an over-the-air update to their devices, or through the Apple Developer Center. The public beta counterparts usually arrive a short time after the developer versions, and can be acquired from the Apple Beta Software Program. Public beta versions of iOS 12.1.3 and tvOS 12.1.2 were pushed out shortly after today's developer releases. The third iOS 12.1.3 beta is build number 16D5037a, replacing the previous build 16D5032a. macOS receives a build number of 18D38a, while Apple's third watchOS 5.1.3 beta, build 16S5535a, takes over from the second beta, build 16S5531a. Lastly, the newest build for tvOS 12.1.2 is 16K5534a, incrementing from 16K5532a. The betas indicate these to largely consist of bug fixes and performance improvements, rather than updates that introduce new features to each respective operating system. Updated with information about macOS 10.14.3 and Apple's public beta program. Public beta also available now. Hoping this moves out of beta soon - I've been delaying/avoiding updating to 12.1.2 because of the bricking issues. How long before Apple/AMD/Adobe sort this out? Every beta developer update I rush to test Photoshop and last night after this update it is still there. The preferences/option key workaround simply disables the very features Liquify offers, all except the brush tool. After you use the Liquify filter on an image on a specific Mac hardware/graphics cards, there are unexpected black pixels on the image. Rollback to macOS Mojave 10.14.1. Hold down the Option key when you select Filter > Liquify to disable the Use Graphics Processor option when launching the Liquify dialog. Disable the Use Graphics Processor option in the preferences. Choose Photoshop > Preferences > Performance. We are working with Apple to address this issue. Does this address the breaking of WiFi in iOS 12.1.2? Meanwhile, the Cupertino tech-giant also issued the third beta of upcoming macOS Mojave 10.14.3 update to developers and public beta testers. Like other software updates, to use the beta, you need to enroll in the developer or public beta program, then go to the Software Update setting in the System Preferences. I have received 12.1.3 on my iPhone. I wonder why there isn't a new article for this release.